Acclaim Mortgage, Inc., in Denver, Colorado, wants to help you qualify for a home loan, even if your credit is not perfect. 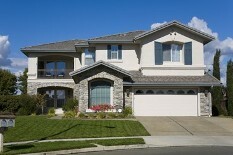 Difficult credit loans can turn you into a homeowner. Contact one of our specialists to discuss your existing FHA and VA loans. We can help you refinance with no appraisals and no income qualifying. Our loan experts will provide options to qualify for commercial properties, such as land, building sites, non-conforming property, rural property, and working farms and ranches. Contact us today to speak with a mortgage broker about home loans.